"It is necessary for the committee to determine the scope of any such examination and whether it includes a review of underlying business activities required to be reported on the individual income tax return,"
The Democrats have requested a copy of president Donald Trump's tax returns from the Internal Revenue Service (IRS) in a move that is unprecedented in 45 years. It's not the first time that Mr Trump's filings have faced calls to be made public, with many asking for them to be released at various points since he started running for office in 2015. This case is different, however, as there has been a formal request from a legitimate source. Congressman Richard Neal, the Democratic chairman of the House of Representatives' Committee on Ways and Means, had made the request. As this committee is the chief tax-writing committee of the house, it seems like a reasonable request. The Democrats are hoping that by having the president's tax returns and those of eight of his business entities exposed, the complex financial dealings of Mr Trump and potential conflicts of interest could come to light. Mr Neal has requested six years of tax returns from 2013 to 2018, citing a little-known tax code in order to get hold of them. In a letter to the IRS, Mr Neal wrote: "Under the Internal Revenue Manual, individual income tax returns of a president are subject to mandatory examination, but this practice is IRS policy and not codified in the Federal tax laws. "It is necessary for the committee to determine the scope of any such examination and whether it includes a review of underlying business activities required to be reported on the individual income tax return." Mr Trump has said that he is being audited by the IRS and that he will release his tax returns once the process is completed. Experts say there's no reason why the records can't be made public at the same time as the audit. It's believed that the majority of presidential nominees for the past 40 years have had their tax returns scrutinised, with Gerald Ford in 1976 being the most recent notable exception. The Democrats now have a majority in the House and the tax returns request is part of a plan to leverage it for political, legal and constitutional advantage. 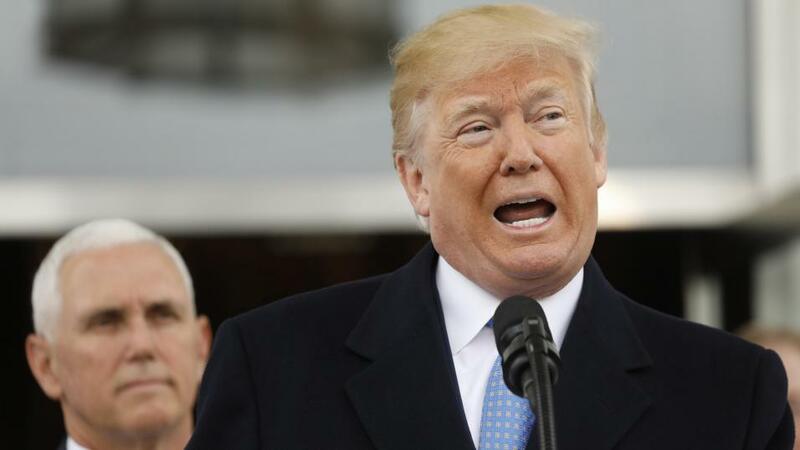 It's likely that the tax returns will not be handed over freely and a lengthy legal battle will ensue, which will in part shape the run up to the 2020 election. While making tax returns public has been the norm for nominees in the past, it's not entirely clear the extent to which Congress has power to demand to see them. The Democrats say the president is legally bound to share the documents, but it's clear that Mr Trump is seeing it as a choice and one that he can decline. The Democrats are taking a political gamble with the move, however, as it's difficult to say how the electorate will view the request. Some may see it as a legitimate demand, while others might believe they're overstepping the mark, which could be a political faux pas. Mr Neal said in a statement: "I am certain we are within our legitimate legislative, legal and oversight rights." The release of Mr Trump's tax returns and those pertaining to eight of his businesses could have an impact on the market, but it's unlikely that the documents will be made public any time soon. In the meantime, the twists and turns leading to the 2020 election are likely to induce fluctuations in many major markets.